Susan L. Repetti, partner in the firm’s Trusts and Estates Department, spoke at the “Estate, Gift & Generation Skipping Transfer Tax: MCLE BasicsPlus!®” seminar at Massachusetts Continuing Legal Education on October 11. 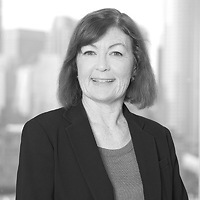 Susan presented on the subject of family limited partnerships, grantor retained annuity trust and other estate planning techniques on the “Special Valuation Rules and FLPs” panel. For more information, click here.